The preceding images were examples of work that we have done. If a picture is useful, an Immersive Image is invaluable. It can be used on a website or CD-ROM to offer your visitors and customers a unique experience. As they interact with your website, you can show them your facilities and document a location: virtually bring customers to you! Let us help you put the proper spin on your project. 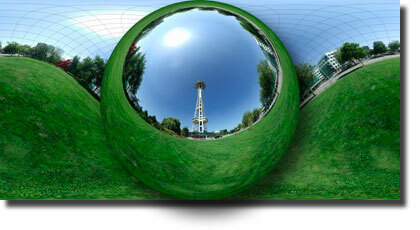 At 360Geographics we put you in the big picture.